Personalising the welcome that visitors get to your home is a great, fun way to create a fun first impression. 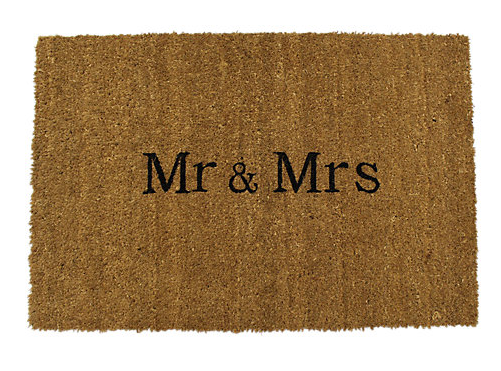 Whether it’s a gift for someone special or a fun addition to your own home, a customised door mat puts a memorable statement right on your doorstep. John Lewis sell two welcome mats that can be customised with a text message. The high quality mats are made from coir, which is the versatile fibre that comes from the outside of coconuts. The reverse side has a PVC backing. The mats are suitable for indoor use or sheltered outdoor areas. The mats can be customised with two lines of text, each with ten characters, making a total of twenty characters for the mat. If you are looking for a different size mat or perhaps need more characters, this great value mat, available through Amazon.co.uk, measures up at 70cm x 40cm and allows three lines of text, each with approximately 15 characters, giving a total of 45 characters on the mat. 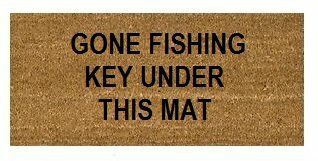 This hardwearing mat is also made from hardwearing coir, is PVC backed and costs just £21.99.